These challenges stem from an increased focus on agility and scale for building modern applications—and traditional application development methodology cannot support this environment. 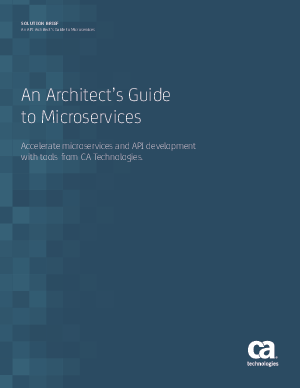 CA Technologies has expanded full lifecycle API management to include microservices—an integration enabling the best of breeds to work together to provide the platform for modern architectures and a secure environment for agility and scale. CA enables enterprises to use best practices and industry–leading technology to accelerate and make the process of architecture modernization more practical.